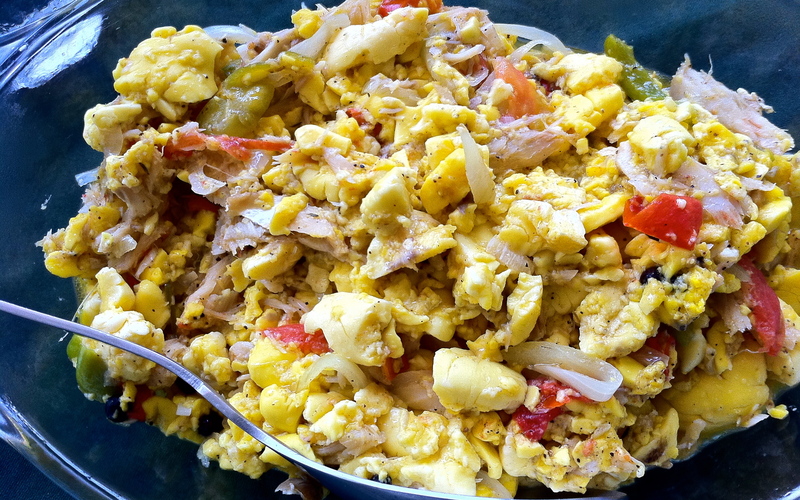 Despite a fondness for jerk, Jamaica’s true national dish – the food expats crave to a degree so obsessive that’s it’s canned and shipped around the globe – is something called ackee and saltfish. 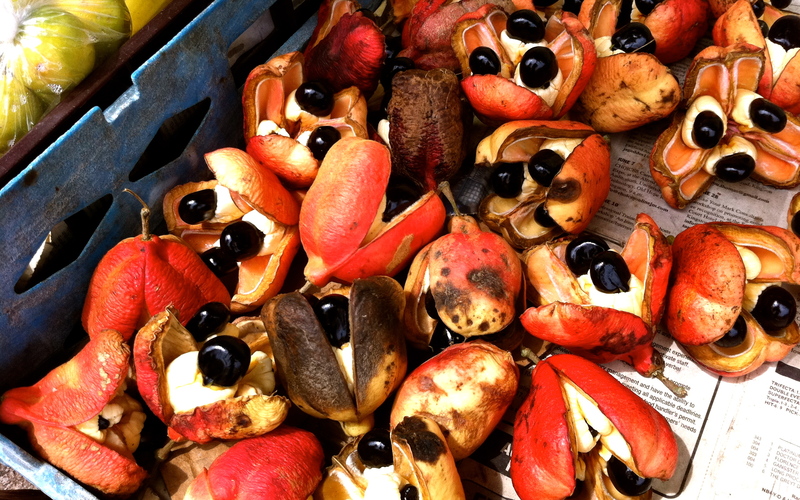 Ackee is a fruit which when ripe splays open in an act of self-immolation to reveal a shiny black seed the size of an olive. Only then is the flesh fit for consumption and still it first needs to be boiled. Once cooked it has the deceptive texture and appearance of firm scrambled eggs, which might be one reason why the dish is a popular staple at both breakfast and brunch. Another is the fact that salt fish is the Caribbean’s answer to smoked salmon, and here it’s sauteed with sweet red peppers, onions, a healthy amount of allspice and the boiled ackee. Like a good plate of hash it satisfies the palate’s craving for savory and sweet, while the starchy ackee functions like potato, soaking up the residual cooking flavors while pleasantly tricking the eye.